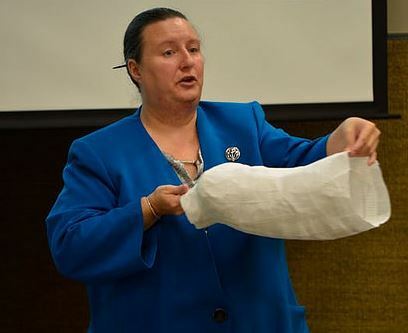 Paige Myers, NC Museum of History Textile Conservator, will offer a wide range of tips on preservation-appropriate methods to display costumes. She will guide participants in hands-on practice with fosshape—a malleable and budget-friendly material used to construct mannequins and additional supports. Participants will also practice creating paper mannequin hair.